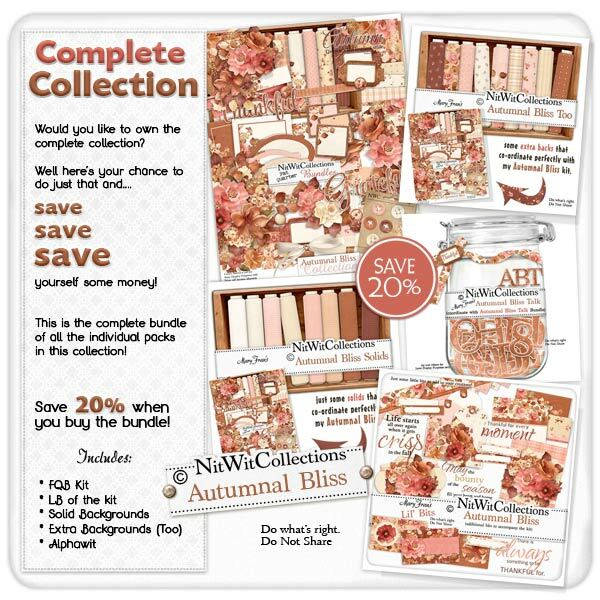 Bundled "Autumnal Bliss" Collection is filled with copper colours and warm tones. This late summer kit has almost a vintage feel and the floral pastel papers are ones not to be missed! It was such a pleasing colour palette to create, and very easy to use...I'm sure you'll find your creativity working overtime with this digital kit! !